[toc]Edema is a condition in which the water gets accumulated in the body, causing swelling. This generally occurs in the legs, causing heavy swelling of legs and feet. This condition is more common among pregnant women, which occurs due to the pressure in the walls of uterine. Deficiency in protein content is also one of the reasons for its occurrence. Though it is not a very dangerous condition, it may cause some discomfort, and hence it is better to find some simple cure for it. Also, it is not necessary that you have to take in medicines, as this can be naturally cured in few simple steps. Consumption of few bananas daily is found to be very effective in curing edema. Bananas are a rich source of potassium, which helps in fighting against water retention. It also reduces the pressure on the cells and tissues, and also helps in eliminating all unwanted waste content from your body. You can take at least two bananas daily in the morning, and see some visible changes after few days. Edema may also occur in case when there is problem in elimination of waste water from the body. This can be overcome by consuming lemon juice regularly. 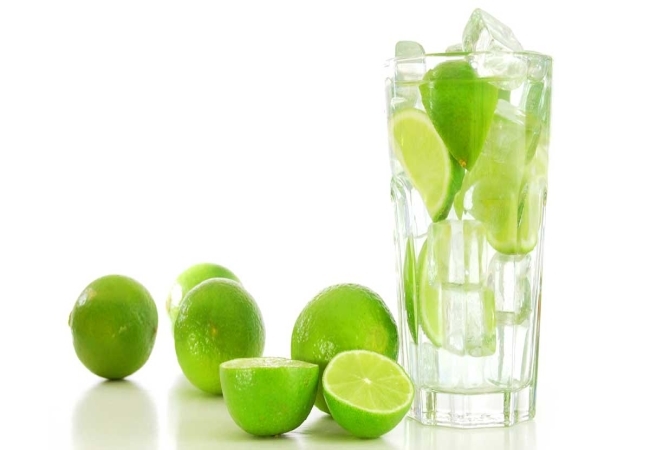 Lime, which contains vitamin c and citric acid in abundance, is found to be effective and very good for your health. It also helps in improving the kidney function and eliminates all waste and toxic water from your body. In this way, it helps in curing edema effectively. Remaining ideal may increase the risk factor, and it may further aggravate edema. So, to enhance the movement of fluid, some simple and regular exercise will help you out. This is suitable for both pregnant women as well as other who suffer from edema. Walking is one of the simplest exercises, which can be done for at least half an hour in the mornings and evenings. You can also learn few other simple exercises to keep yourself active and healthy. The swelling of feet due to water retention may cause expansion of skin and cause irritation and pain. This can be reduced by using warm water compress. You can heat the water and dip a cotton cloth on it, which can be used for compression.You can also soak your feet in a warm water tub. This will help in easing out the pain and will also reduce the swelling. 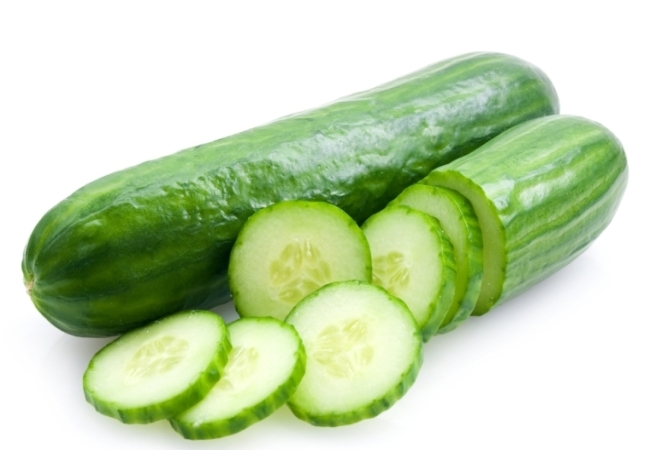 Cucumber is known for its cooling effect on the body. It also helps in keeping the body hydrated, and enhances urination. This will remove all the excess water content from the body, thus reducing the swelling and edema. It also helps in eliminating toxic waste from your body. 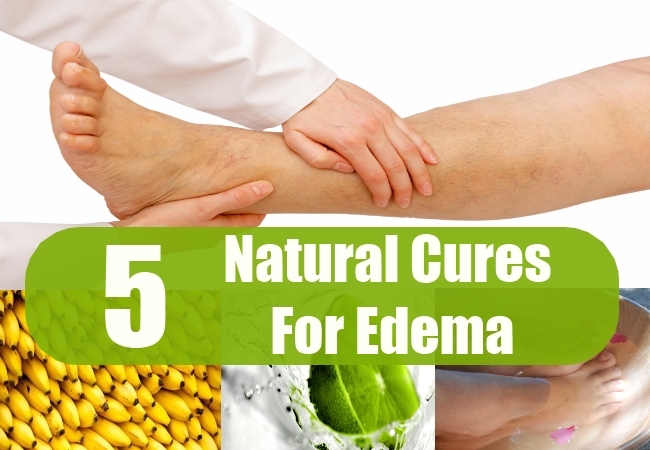 Edema can be cured in the above ways naturally, without getting the help of any medicine. This will also help you in healthy living, and protect you from a number of other diseases.